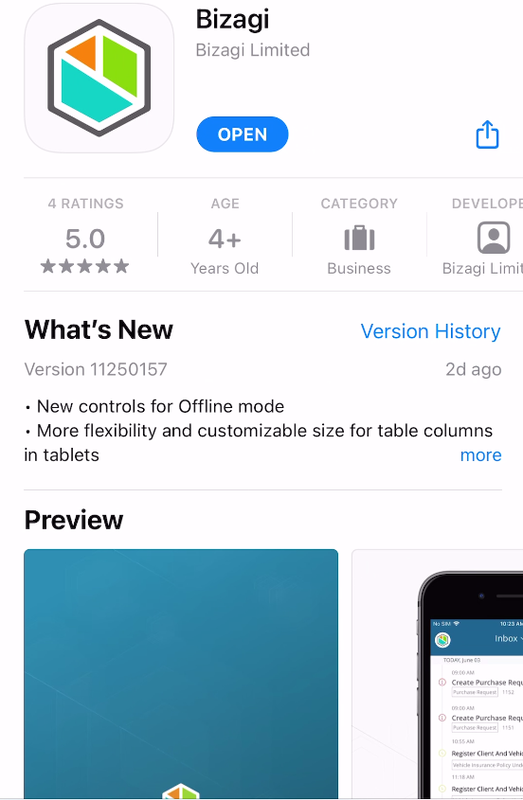 To access to the Bizagi application using iOS devices (e.g, iPhones), go to the App Store and search for "Bizagi". The application is free for download. •URL to access Bizagi application. You can use QR code Log-in. If the application server has more than one active domain, Bizagi will display a combo to select the corresponding domain. You can also access a list of previous logins made from the device (Login history) to quickly access their related applications. Bizagi application offers a log-in shortcut, via a QR code, QR code log in makes it easy to log into a project, by inputting the server's URL and the domain automatically. To start with QR code Log in, tap the Scan QR code option on the bottom of the screen. A pop-up message will request permission to access the device's camera. Grant the permission. You will need to scan with your device the QR code from the desktop Work Portal. Once you scan the code, your site's URL and your domain will be loaded on your device. The next step is to enter your username and password and you'll be ready to go! If your portal has oAuth or Federated Authentication you will be redirected to your identity provider's login portal, where you will need to enter username and password. To obtain the Work Portal's QR code log in in the desktop's Work Portal and click your User Profile picture on the top right. Select Mobile code. Bizagi will display a pop-up with your portal's QR code ready to by scanned with your device. This feature relies on the device's TouchID fingerprint sensor in order to enforce security when a user logs in to the Bizagi app. Fingerprint access associates the fingerprint registered in the device to a specific Bizagi account and requests it when logging in. This feature is enabled when the device has a registered fingerprint. As soon as a user types the credentials and taps to log in, a pop-up message displays to associate the current fingerprint to that account. When the user reopens the app, Bizagi will request the fingerprint in order to log in. If the fingerprint matches, the log in will be successful. If the fingerprint does not match, the option “Enter password” display and the user will be redirected to the log in page to type the password. •Bear in mind that Finger print access is only available for devices with fingerprint sensor included. 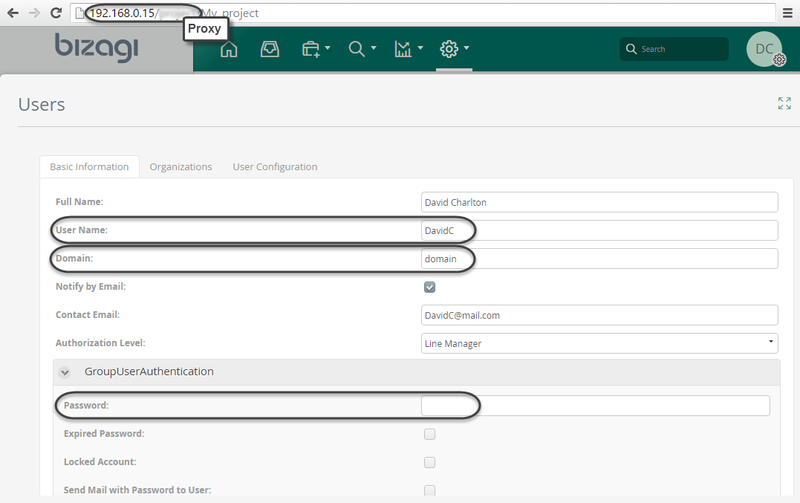 •This feature only supports Bizagi, Custom, Mixed and LDAP Authentication. Once signed in, the Activity feed is displayed by default and depends on the Me Menu configuration for this user to be shown by default. 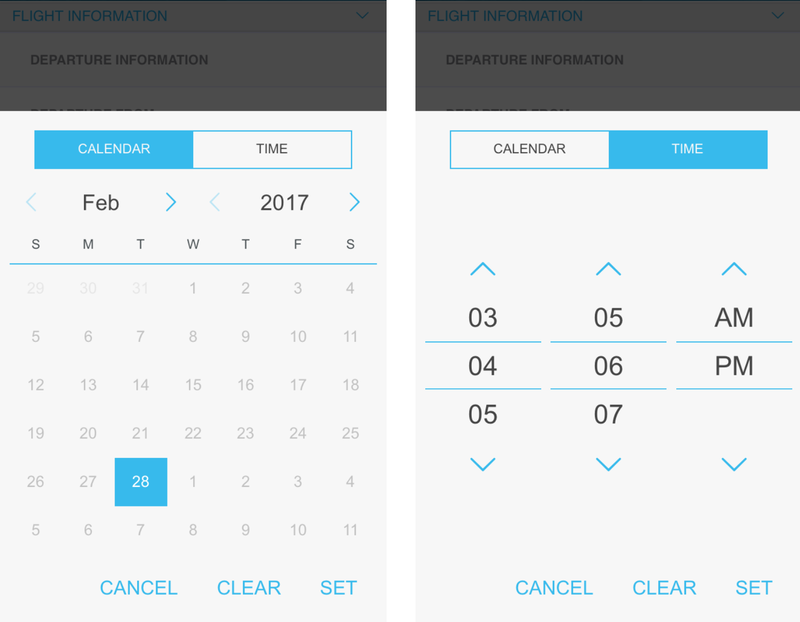 This screen displays the Application options. This option is available through the icon displayed at the bottom left of the screen. The Settings option displays the current user's picture and username. Closes the current session in the server. When enabled, allows to automatically log in directly to the last project used when the application is opened. When disabled, the application presents a list of all recent projects with a button for a quick login. Logging off will require users to enter project information and user credentials. Enables or disables the Fingerprint access. Displays the information of the profile of the current user. Furthermore, it allows to change the default Start View when logging in to the application. Alters Bizagi application language. Bizagi Application will display the configured languages and the current device language. A message will be displayed informing that the language will be applied next time you restart the application. To navigate through the cases swipe up and the cases will be automatically loaded. This feature reloads the displayed cases. To work on a pending activity, tap on it and the activity will open. Selecting the three bars located at upper left will allow the user to log out and switch users and projects. If the users option is not deployed, the currently listed cases can be filtered according to a due to state. To perform a search over the open cases just select the magnifier icon located at the top of the Main screen. Type the name of the activity or the case number. The list of activities that meet the search criteria will display. 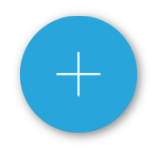 This search can be also performed through the search option in the left screen menu, which can be opened when selecting the three lines icon ( ). Finally, In the Activity Feed screen, the results can be sorted as well whether through the filter beside the search icon or in the left screen menu, directly selecting one of the activity states to filter the cases shown by said state. 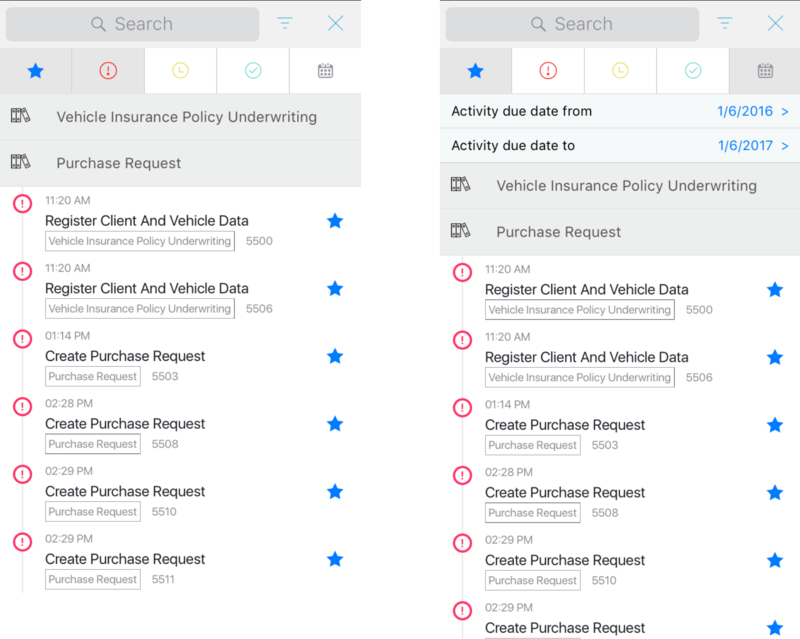 Tap ( ) to access the Right screen while in the Activity Feed to filter the shown cases.